Habitat for Humanity Texarkana has completed their first home in Texarkana Arkansas and is inviting the public to the dedication ceremony on Friday, February 8 at 12:30 pm. Plans are already underway for a second house to be constructed soon on the Arkansas side. Since 1987, Habitat for Humanity Texarkana, Inc.(HFHT) has sheltered over 120 individuals through simple, decent, and affordable housing in Texarkana, TX. On Friday, February 8, 2019 at 12:30 PM, the public is cordially invited to attend the dedication ceremony for house #1 located at 2202 E 12th St Texarkana, AR. The house is the first one build on the Arkansas side for HFHT. Please join us as we celebrate with our new homeowner and her children. This family applied and was selected into the Habitat program and has been earning sweat equity hours by working on the Habitat home, assisting in community events, helping at Habitat events, and completing home ownership classes. By the time their home was complete, the family worked over 200 volunteer hours. The homeowner will be responsible for paying a zero-interest loan to Habitat for the purchase of the home. Habitat homes in the Texarkana area are currently sold to families for $65,000 to $75,000, depending on the number of bedrooms. The mortgage they pay will help fund future Habitat homes. The downside is, it takes 25-30 years to recoup the investment. Habitat relies on contributions to continue building. Habitat for Humanity will build the second Arkansas home in the spring. The prospective homeowner has chosen the property adjacent door to 2202 E 12th. 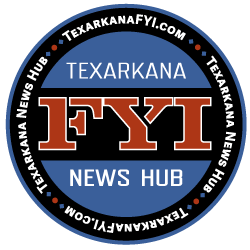 According to HFHT Executive Director Mary Wormington, the partnership with the City of Texarkana, Arkansas has opened up the building opportunities in Arkansas. A city grant to start a repair program designated for elderly homeowners 65 and older is also in the works. The repair program is scheduled to start mid-year once budgets are passed. HFHT would like to thank the City of Texarkana Arkansas and Rogers Construction and many other partners for working on house #1.